Join us this Tuesday to celebrate the dead! 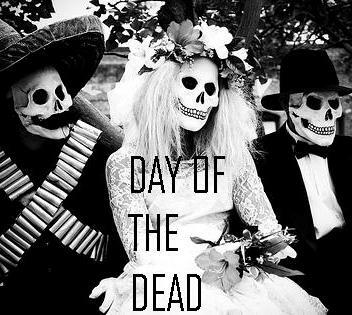 DAY OF THE DEAD: VIVA MEXICO! Exploring the traditions and rituals of Dia de los Muertos, join us to celebrate the living and the dead at a distinctively Mexican flavoured salon. Shrines and altars, macabre marigolds, sugar skull faced characters and colourful costumes. Plus indulge in sweet treats and chilli hot chocolate, as the heat and drama of Mexico comes to Cass Art. £8 to participate, drawing materials included thanks to Cass Art. Includes 20% discount on post-drawing drinks at Wenlock & Essex pub. BOOK TIX NOW by calling 020 7354 2999 or pick up in person from Cass Art store in Islington.